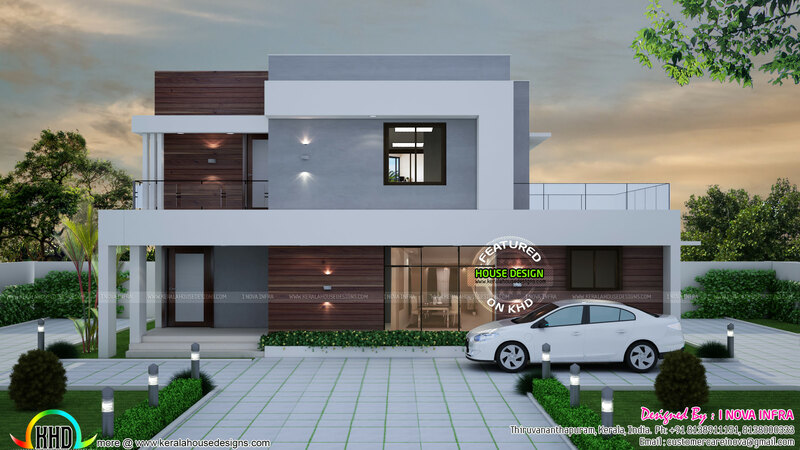 3000 square feet (279 square meter) (333 square yards), 4 bedroom contemporary home design architecture. Design provided by I Nova Infra, Thiruvananthapuram, Kerala. Ground floor Area : 1900 Sq. Ft.
First floor Area : 1100 Sq. Ft.
0 comments on "Contemporary 4 bedroom house architectutre"